Try these Cheesy Twice Baked Potatoes for a delicious side dish or lunch recipe. 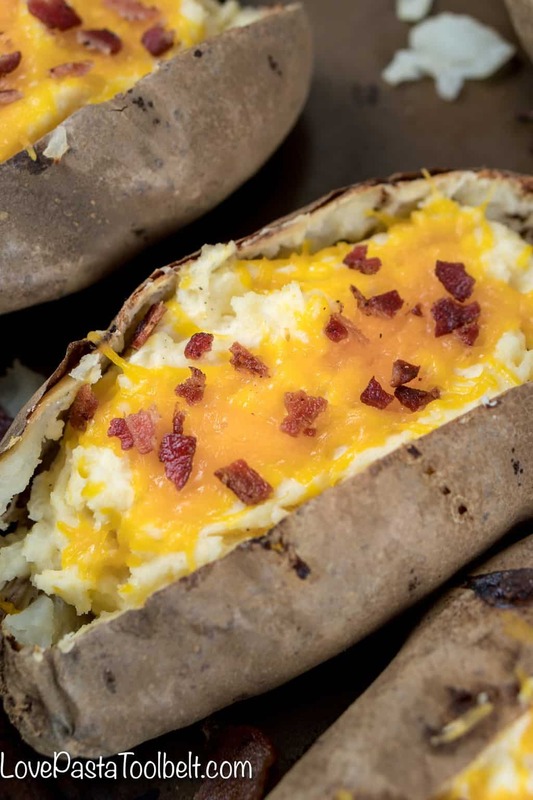 Packed with sour cream, cheese and bacon, what’s not to love? When I was in college, I spent a lot of time at my aunt’s house. I was pretty much their fifth child and my uncle calls it their cheapest college education. I did a lot of babysitting for them and in return got a lot of delicious meals and a place to do my laundry. My aunt doesn’t cook a lot but when she does it’s good stuff. 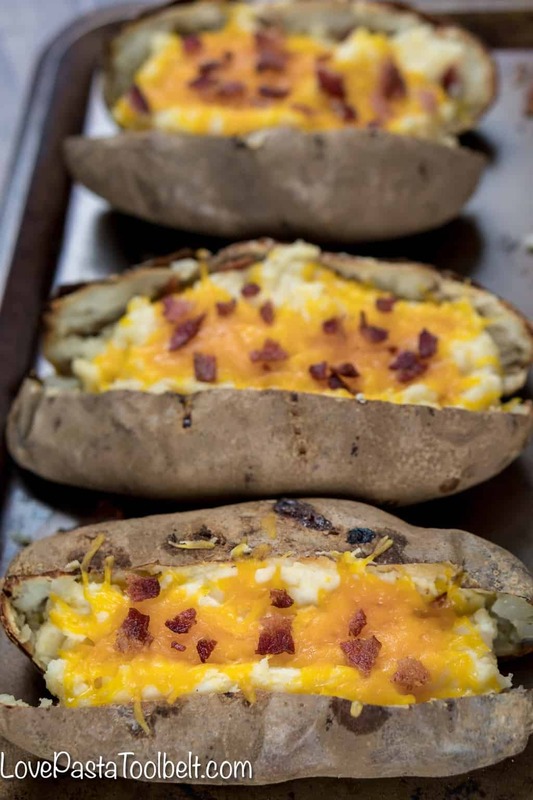 That was the first place I had Twice Baked Potatoes and I was pretty much sold on them. It’s been quite a few years since I’ve had twice baked potatoes since I don’t get to visit my aunt and her family as much as I would like. 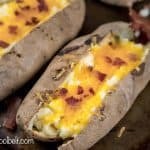 So I decided to make my own version with these Cheesy Twice Baked Potatoes. The Cheesy Twice Baked Potatoes were just as delicious as I remembered. 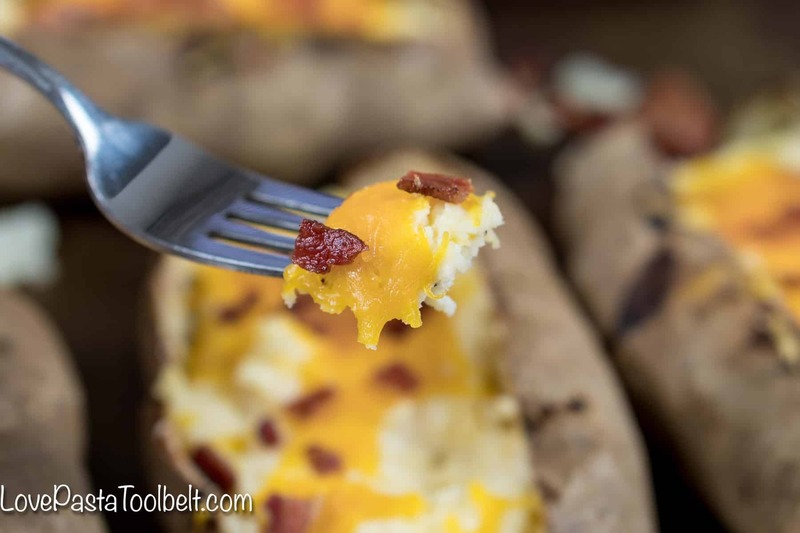 I love what a versatile side dish they can be. We served ours alongside a simple pork tenderloin but twice baked potatoes are always good with a juicy steak or a chicken dish. We’ll definitely be repeating this side dish a lot during the spring and summer when we grill out. 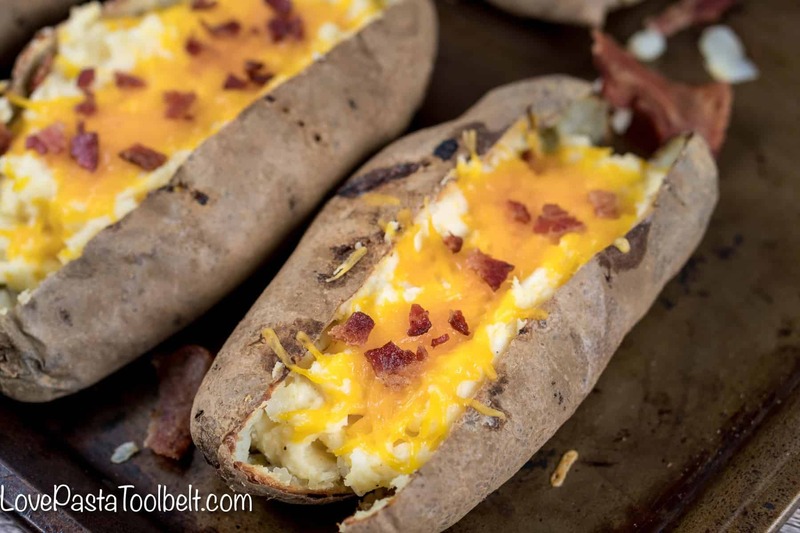 Try these Cheesy Twice Baked Potatoes for a delicious side dish or lunch recipe. Packed with sour cream, cheese and bacon, what's not to love? 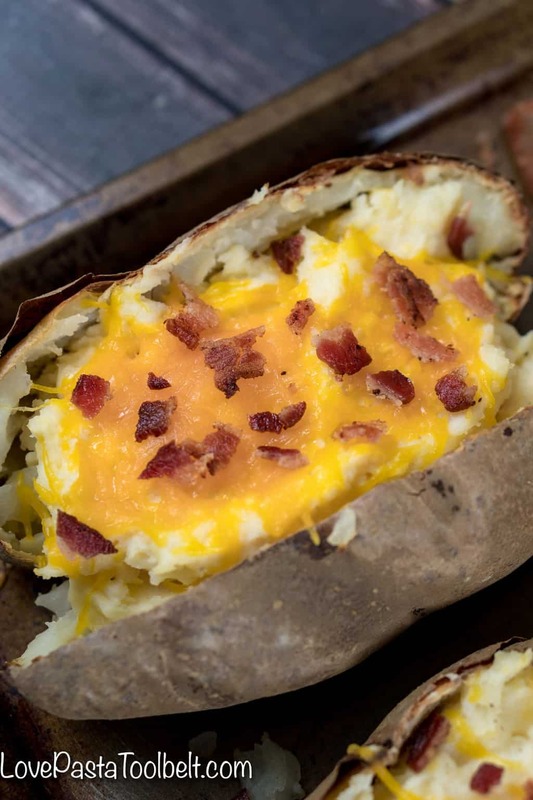 Remove from oven and allow potatoes to cool until you're able to handle them, cut open if desired to speed the cooling process. So cheesy! Love the idea.